Radhika Iyengar-Emens is a TEDx speaker, a Silicon Valley Woman of Influence, author, a serial entrepreneur and an expert in blockchain and healthcare. She is a Founding Partner of StarChain Ventures, which is focused on enterprise blockchain solutions and foundational blockchain technology. Radhika is also Managing Partner of DoubleNova Group, a Silicon Valley-based blockchain advisory that advises tech clients on the implementation of blockchain technology. Radhika has spoken at 45+ blockchain speaking engagements in 2018 and presented 10 keynotes. She has been a keynote and panel speaker at Stanford University, Google, UCLA and UC Berkeley, has been featured in radio shows, podcasts and keynoted prominent blockchain and healthcare conferences in Silicon Valley and internationally. She has produced various blockchain hackathons to help build the blockchain technology developer community. She advises Fortune 100 companies on blockchain business strategy and ecosystem building. She is also on the Advisory Board of ELEV8, a leading blockchain global conference platform. Multilingual in 9 languages, Radhika is an advisor to top blockchain startups and digital health companies globally. She is an expert in Silicon Valley fundraising, international expansion and business acceleration. She has raised $100M+ as an advisor and through acceleration programs. She is also an advisor to governments and has setup and run accelerators and US market access programs for top startups from Europe and Latin America. Radhika is a passionate advocate for women in technology and diversity, an active speaker on women in blockchain panels and at global women's conference. 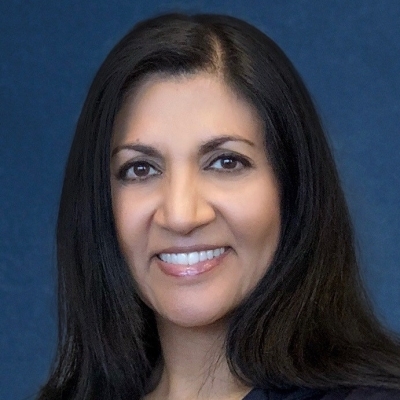 She is an Advisory Board Member at Women in Technology International (WITI) and the former president of her alma mater’s Northern California Alumni Club. She holds an A.B. from Bryn Mawr College, an MBA from Chapman University and is a Certified Network Engineer (CNE).